As a rental property owner, negative tenant interactions are to be expected from time to time. While tenant conflict is the last thing you want to deal with, you need to be prepared to handle confrontations in a professional manner. The Sacramento rental property management team at Real Property Management SAC-METRO strives to help you be a successful rental investor and develop positive tenant/landlord relationships. Being a landlord is a tricky job, and requires patience and understanding. Your best chance at being a profitable homeowner is by creating satisfied customers, in other words, happy tenants. Tenants that feel valued and cared for are more likely to respect and maintain your property. With the help of our professional team, you can better avoid tenant conflict. Lease Agreement – Disagreements often begin when one party misunderstands the other. A clear and concise rental contract is the best way to make sure all individuals involved understand their duties. The lease agreement needs to distinctly state tenant versus homeowner responsibilities. At Real Property Management SAC-METRO, we use a well-written contract that outlines exact obligations to help tenants know what to expect from the very beginning. Work Orders – Maintenance repairs can also create disputes. Landlords should financially and even mentally prepare to put money into their rental every once in a while. Anticipate fixes and set aside funds for those fixes. Homes naturally deteriorate no matter who is living in them. Expect normal wear and tear to happen. As for your tenants, they can feel neglected and unheard if maintenance requests are not handled in a timely manner. But when partnering with Real Property Management SAC-METRO, you won’t have to worry about that. We promptly respond to submitted requests and work hard to resolve the matter as quickly as possible. Home Inspections – Frustrations escalate when costly repairs could have been prevented with regular upkeep. Home inspections allow you to catch small problems before they turn into significant problems. Landlords are allowed to enter their rental home when they follow the proper legal steps. Complying with the law not only saves you from legal ramifications but is also a way to show respect and keep the peace with your tenants. The experts at Real Property Management SAC-METRO know the law regarding home inspections and make sure to follow all applicable regulations. o business owner. It is important to operate your rental like a business investment, even if it was once your beloved home. Remember that tenants notoriously do not provide the same level of care for a house as a direct homeowner would give. All the while, your landlord/tenant relationship hinges on your ability to personally detach, and rather, remain objective and courteous. The help of a third party such as Real Property Management SAC-METRO is especially beneficial when trying to make the emotional switch to a business investor. Tenant Screening – Placing quality tenants in your unit can drastically reduce the likelihood of encountering conflict down the road, not to mention the impact on your cash flow and profitability. The Sacramento rental property management team at Real Property Management SAC-METRO uses a thorough tenant application process for this reason. We verify credit, employment, and income. Plus, we conduct a criminal and background check. We also look at rental history and talk to previous landlords. Finding well-qualified tenants can make the world of difference, resulting in either pleasant tenant experiences or rocky ones. The professionals at Real Property Management SAC-METRO understand the rental industry. They know how to improve your tenant communication, all while increasing your bottom line. To be a successful rental property owner, you need to understand the job requires time, energy, and knowledge. Landlord responsibilities don’t stop on the nights, weekends, or holidays. 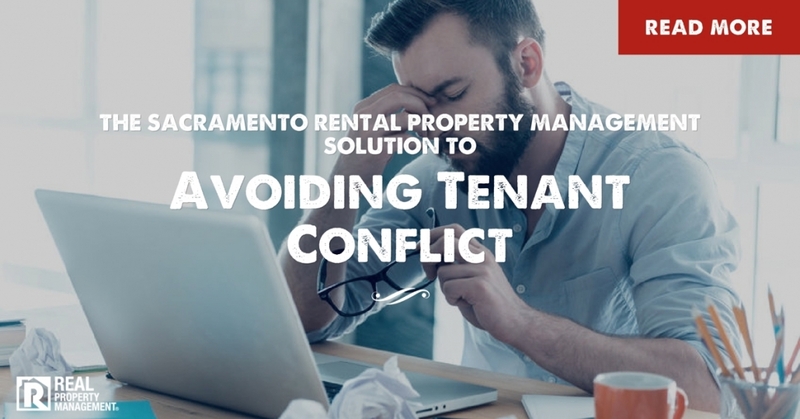 But you can handoff the everyday hassles and headaches of your Sacramento rental property management duties to our experts. We offer a comprehensive list of services and proven processes that are designed to get you a better return on your investment. Put our experienced team to the test. Call Real Property Management SAC-METRO today.